The past (shortened) week was about “the same old”, namely the markets were up. One item to note in the chart below is how extended this market really is. Watch the 4650 level for support; a drop below that starts to get my attention. I draw your attention to the trend line / price channel in the chart above. We’re above that dashed red line, which is fine, but also a sign of caution. We have come rather far, rather quickly and that’s just a little bit “froffy”. So I would not be surprised to see a small correction / drop in prices after the Thanksgiving holiday. 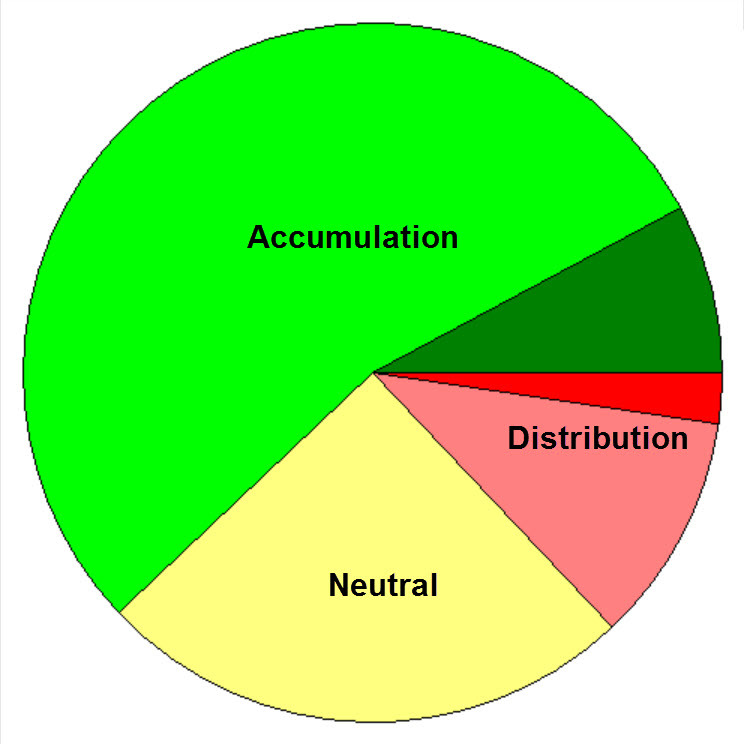 The first pie chart is the number of stocks in the broad S&P 1500 index that are in Accumulation (buying pressure) and Distribution (selling pressure) or Neutral. 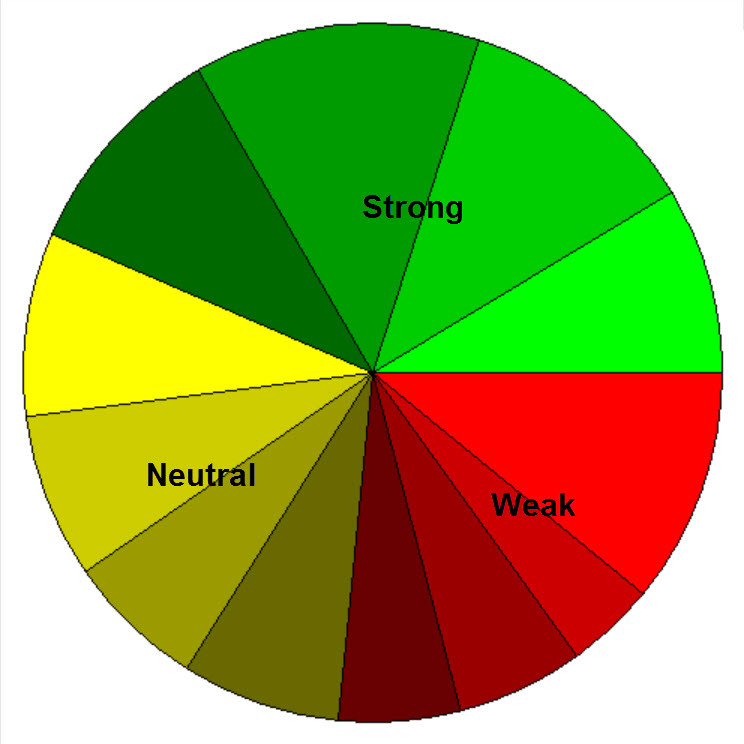 These charts should give you a “handle” on what is currently going on in this market. Hope it helps. BTW, you can easily enlarge any of these charts by double clicking on them, they blow up nicely for easy viewing. That’s it for now. For those in the US, I hope your Thanksgiving holiday was / is good as we move into the Christmas season. Take Care. 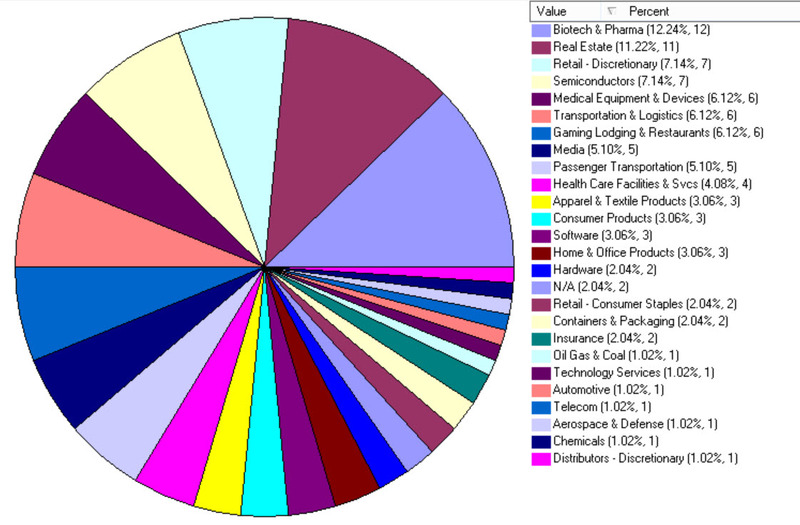 price chart by MetaStock; pie charts by http://www.HighGrowStock.com; all used with permission.